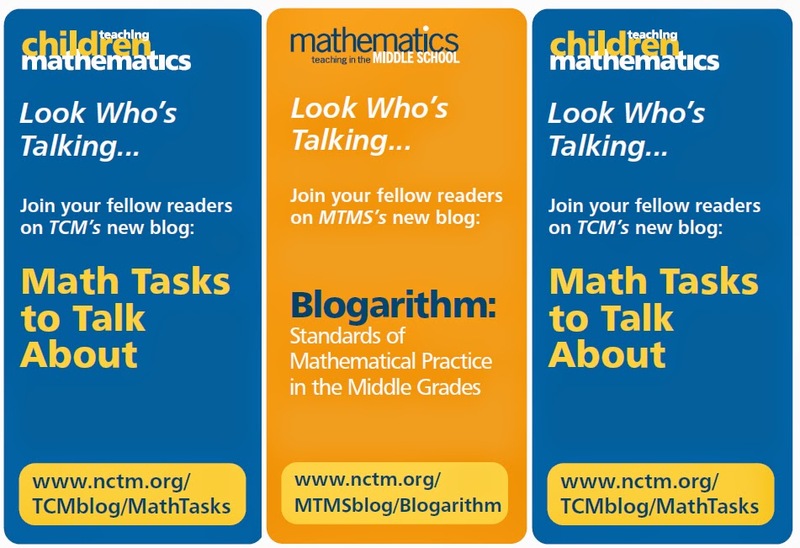 NCTM has joined the blogosphere with three entries: one corresponding to each journal. Here's how NCTM describes them. Blog posts are contributed by guest bloggers from within the mathematics education community, and all three invite comments from the field. Access your journal blog above and join the conversation now. I have a problem with young children focusing on such language distinctions as “the blue ribbon is 5 times longer than the red ribbon” and “the blue ribbon is five times as long as the red ribbon”. The important thing is that students understand multiplicative reasoning using whatever language makes sense to them, rather than confuse with language that I as math educator have trouble making sense of. Is there a public forum for comments about MTMS articles? If not, there should be. Thanks in advance for a response.